Sydney was one of just 20 metropolitan areas that accounted for almost 60 per cent of global retail and wholesale colocation revenues during the third quarter last year, new research shows. 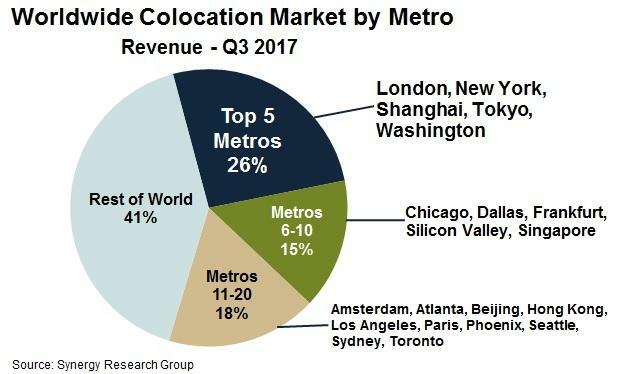 According to data from Synergy Research Group for Q3 2017 and released earlier this month, the top five metros ranked by colocation revenue generated during the period were Washington, New York, Tokyo, London and Shanghai, with those five metros alone accounting for 26 per cent of the worldwide market. The next 15 largest metro markets during the period accounted for another third of the worldwide market, with Sydney joining the likes of Amsterdam, Atlanta, Beijing, Hong Kong Los Angeles, Paris, Phoenix, Seattle and Toronto in the group. Altogether, six of the top 20 metro areas were in the Asia Pacific region, with 10 in North America and four in the Europe, Middle East and Africa (EMEA) region, according to Synergy Research Group. The research also showed that across the 20 largest metro areas for colocation, retail colocation accounted for 72 per cent of revenues during the period, with wholesale accounting for 28 per cent. 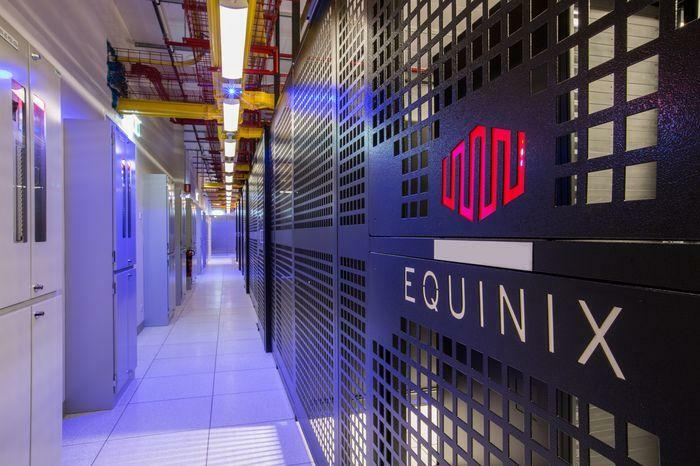 During the period, Equinix claimed the market lead by revenue in eight of the top 20 metros and Digital Realty on track ti be the leader in five more if a full quarter of its freshly-acquired DuPont Fabros operations are taken into account. According to Synergy Research Group chief analyst and research director, John Dinsdale, it is largely data centre outsourcing and cloud services continue that are driving the colocation market. At the same time, the geographic distribution of the world’s corporations is focusing the colocation market on a small number of major metro areas. The latest data from Synergy Research Group comes just weeks after the analyst firm revealed the total value of significant data centre-oriented mergers and acquisitions (M&A) deals that closed in 2017, with last year far outstripping the prior two years. The total tally for 2017, according to Synergy Research Group, came to US$20 billion for the year, surpassing the total for 2015 and 2016 combined. On average, through 2017, Synergy Research findings reported that there was almost one significant M&A deal closed every week. The largest transaction in the year was Digital Realty’s US$7.6 billion acquisition of DuPont Fabros, but there were four other deals that were valued at a billion dollars or more, involving acquisitions by Equinix, Cyxtera, Peak 10 and Digital Bridge. It appears that 2018 could be on track to continue the run, with four additional major deals, as of 5 January, that had been agreed but not yet closed, with a total value of over US$2.6 billion.